Dunhuang was a major stop on the ancient Silk Road and is best known for the nearby Mogao Caves. 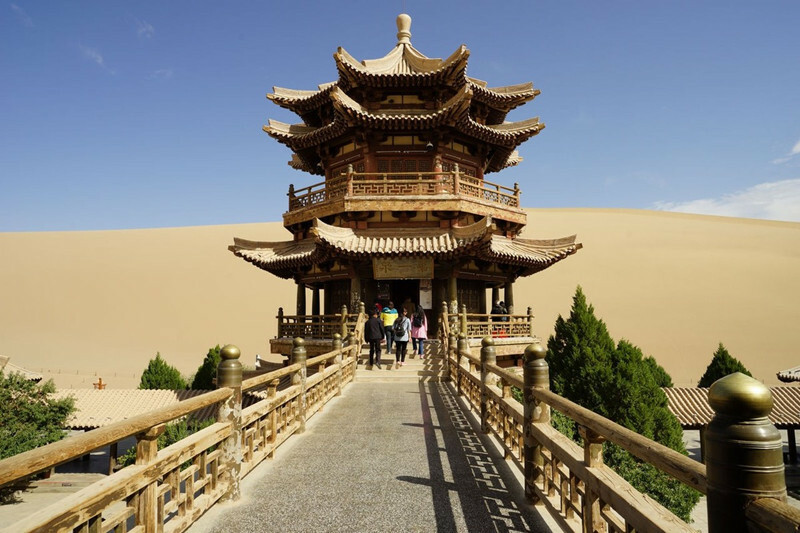 The one day Dunhuang City Highlights Tour will take you visit the world famous Mogao Grottoes, Dunhuang Museum, Crescent Lake and Mingsha Echo-sand Mountain. Ride camels across the sand dunes to Echoing Sand Mmountains. Enjoy the sunset of Gobi Desert. After the tour of whole morning, have lunch and a bit of rest. 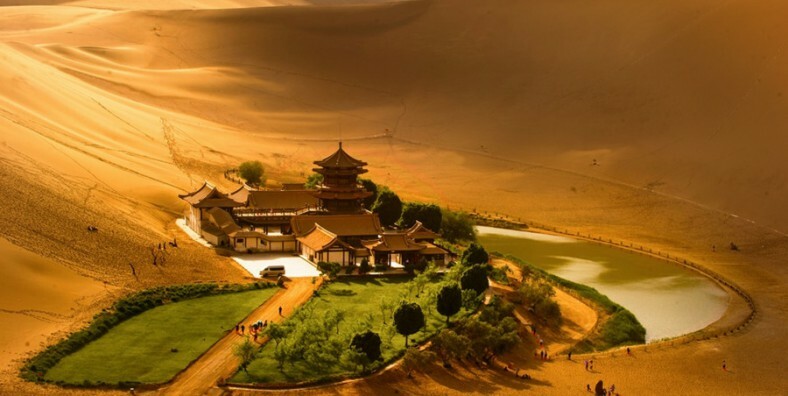 In the afternoon, visit Dunhuang Museum, housing more than 13,800 antiques, which is a comprehensive topography one principally exhibits historic and cultural relics. Then drive to Crescent Moon Spring, which is an oasis in the Gobi Desert. Enjoy the rare view where an oasis meets the desert and have some fun sand adventure. After that, ride camels across the sand dunes to Minsha Mountain which can make sounds when the wind passes. After the visit, enjoy the view of sunset and drive back to hotel. Service ends.